Jumping over the rainbow to greet you, it’s enchanted Sweetie Unicorn! White as a snowflake and soft as a cloud, he’s a dreamy friend with creamy mane and tail. This gentle unicorn has a shimmering horn full of magic and mystery. 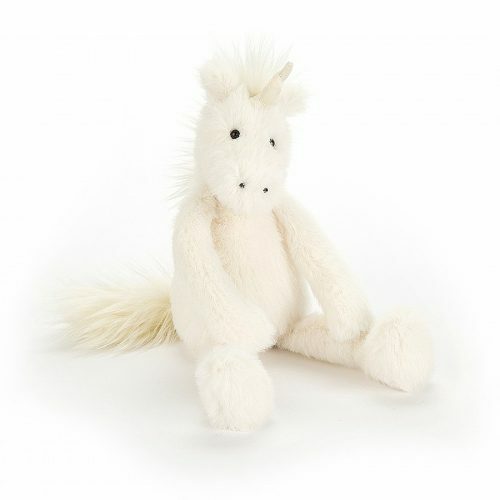 From tousled tummy to cuddly hooves, he’s a fabulous fairytale friend.